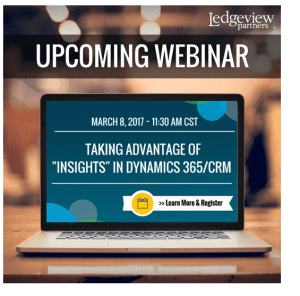 Win faster and more often with sales and marketing intelligence embedded right with Microsoft Dynamics CRM. Insights, powered by InsideView is included at no additional charge in most Dynamics 365 and CRM Online subscriptions. All you have to do it turn it on. Today’s buyers are more informed, better connected, and less responsive than ever. They demand relevance and expect sales people to know about their needs before engaging. Insights puts a wealth of information about your prospects at your fingertips, so you can engage in a timely, relevant, and valuable way.